Daily Oklahoma Cash Grain Prices- as reported by the Oklahoma Dept. of Agriculture on Friday, August 17th. -- Though Painful, Beef Producers Continue to Back President's Trade War: "Do What You Gotta Do"
This past week- A district court judge in South Carolina overturned the Trump Administration's attempt to delay implementation of the "Waters of the U.S. Rule," or WOTUS. As a result- the Obama-era rule is immediately law in 26 states(including Oklahoma and Texas) as the judge's ruling put an exemption on the administration's suspension rule. The U.S. District Court in South Carolina decided the Environmental Protection Agency did not follow rule-making procedures in suspending WOTUS implementation. The judge says EPA did not give an adequate public notice and comment period as stipulated by the Administrative Procedures Act. The court wrote in its decision that, "As administrations change, so do their priorities. But the requirements of the APA remain the same. The Court finds that the government failed to comply with these requirements in implementing the suspension rule." On Friday- The American Farm Bureau Federation and a broad coalition of business organizations notified the South Carolina court of its intentions to appeal the ruling. In a separate filing, the same coalition also notified a federal district court in Texas of the ruling by the court in South Carolina, urging the Texas-based court to issue a nationwide injunction against the illegal 2015 WOTUS Rule "as expeditiously as possible." Farmers, ranchers and others in those 26 states are now faced with "immediate irreparable harm," according to the Southern Texas filing. "Important and consequential national regula­tions like the WOTUS Rule should not apply differently depending on the happenstance of location." The 2015 version of the WOTUS rule has been delayed in other states by two separate injunctions from other courts. In the meantime, the EPA and the White House Administration has been working to repeal and replace the rule under the Clean Water Act. This coalition is asking that action be carried out as soon as possible. More on the Coalition that Farm Bureau is a part of can be read by clicking or tapping here. Mark your calendars and come join in all the fun at the 34th Annual Oklahoma Cattlemen's Association Ranch Rodeo, happening this weekend, Aug. 24 and 25 at the Lazy E Arena in Guthrie, Okla. Doors open at 5 p.m. and performances start at 7 p.m. nightly. During the rodeo, twelve teams from working Oklahoma ranches will compete for bragging rights in five different events based on real ranching activities. Once again, the proceeds of this rodeo will benefit the Children's Hospital Foundation, as it has since 1997. Over the years more than $475,000 has been given to the charity, $22,000 of that total just last year. There's fun for the whole family, too. Kids are invited to participate in a dummy roping contest at noon, Saturday, Aug. 25. Registration begins at 11 a.m. There is no entry fee. Prizes awarded and lunch provided. Don't wait! Purchase your tickets right now by visiting www.lazye.com. 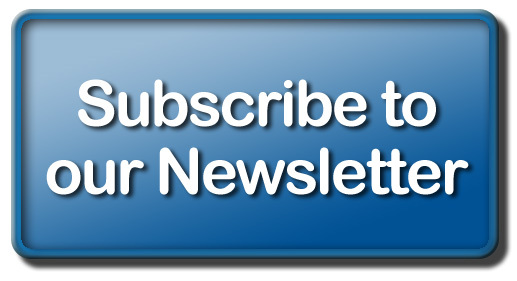 More details including a complete roster of the competing teams this year can be found by clicking or tapping here. The Express Ranches Big Event Annual Production Sale kicked off at its headquarters in Yukon, Okla. last Friday. Attending the event, was special guest and Chief Executive Officer of the American Angus Association Allen Moczygemba, who spoke with us a little bit about the Angus business. Like most other areas of the agriculture industry, there is a lot of change and innovation going on right now in the Angus world, according to Moczygemba. Taking advantage of the latest genomic research and technology, he says the American Angus Association is working to apply its resources to the benefit of the commercial man. Dubbed "Angus Link," this new tool will allow producers to enroll their cattle in a program that delivers three performance scores on their angus-based calves to help them understand their genetic potential and therefor make better informed decisions for their operation. Moczygemba says this program and other innovations will be unveiled at the upcoming Angus Convention, which will be held the first weekend in November in Columbus, Ohio to honor the 40th anniversary of the Certified Angus Beef brand. Moczygemba encourages everyone to join them there. "It's going to be the first time we've been in Columbus and we're going to be spending a lot of time talking about the 40 years of Certified Angus Beef, but there will be a lot more, too," he said. "We're going to be focusing on genomics and how that side of the business continues to grow. We're going to have some great motivational speakers and we're hoping to have a surprise guest we think everyone really likes. So, mark your calendar." Read more about our conversation or listen to it in full by clicking or tapping here. Kent Bacus is director of international trade and market access for the National Cattlemen's Beef Association in its Washington, DC office. In a recent conversation with us, he mentioned that a lot of people in agriculture have long complained about the unlevel playing field on the international arena with trade partners like the European Union, China and others. And, now that the Trump Administration is trying to address some of those inequalities, they are starting to feel the pain as a consequence of the tariffs being used by both sides to influence the outcome of the trade war we find ourselves in today. "Unfortunately for agriculture, we're a big target for other countries. When they see the reactions coming from the ag community, they know they've got a sensitive point and they know where they can apply pressure," Bacus explained. "So, a lot of countries have doubled down on that. All of that's political leverage, so it really is about leveling the playing field." "We hope these other countries get the message, because it's clear the President is going to continue to move forward and apply tariffs," he contended. "I think at the end of the day these other countries are going to feel the pain, too. That's the whole goal, to incentivize them to come to the table. Our message to the Administration has been and will continue to be - we need that short-term to be as short as possible, but... do what you gotta do." Listen to Bacus and I discuss President Trump's strategy for the trade war and ag's position on that plan, on last Friday's Beef Buzz - click here. Rain totals since this past Friday morning show significant rainfall across the state of Oklahoma- with totals of more than an inch falling from Arnett and Cheyenne in the west to Breckinridge and Pawnee in central regions to Vinita and Miami who grabbed the biggest rainfall totals of the weekend with 3.42 and 5.32 inches respectively. Also- the rainfall in the southwest is very important in helping roll back the drought a bit in Harmon, Jackson and TIllman Counties. 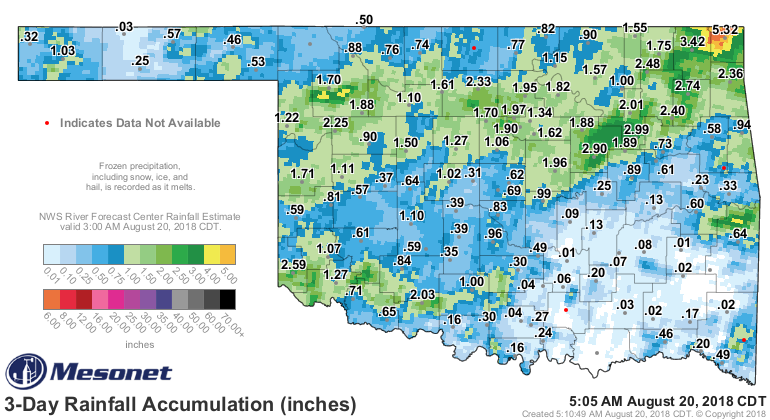 Hollis totaled 2.59 inches over the weekend- while Altus added another inch and a quarter to the big rainfall totals of the middle of last week- and Tillman County came up with about 3/4 of an inch. For this week- some rain chances will be out there midweek- temps today in the 80s- 60s in much of Oklahoma tomorrow morning- but warming up and we have triple digits predicted in the southwest by the end of the week. Last week, the Oklahoma Dept. of Ag recognized Meg Stangl of Okarche, Okla. as a Significant Woman in Agriculture. Stangl, who was raised on a ranch in the tallgrass prairie of the Osage, today lives in Kingfisher County near Okarche where she and husband Greg Stangl have a wheat farm, with an emphasis on stocker grazing, along with a starter/grow yard. 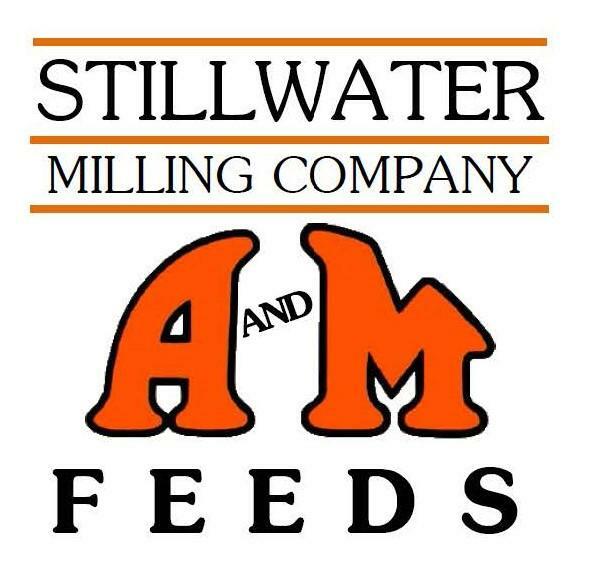 During her college years at Oklahoma State University, she worked at the OSU feed mill learning about animal nutrition and in the Agricultural Economics computer department. She eventually graduated with an Agricultural Economics degree with an option in Farm and Ranch Management. After OSU she went to work for Stillwater National Bank where she eventually became a lender of small business and agriculture loans. In 1999, Meg married Greg Stangl and moved herself and her, at that time, two young daughters, to his family farm in Kingfisher County. There, she started her own business of packaging SBA (Small Business Association) and USDA B&I (Business and Industry) loans to be able to have time to raise their girls and help Greg on the farm During this time, she also worked with the OSU Extension IFMAPS (Intensive Financial Management and Planning Support) program, doing farm and ranch plans and budgets for farmers and ranchers. Since taking over the family operation, the Stangl's have implemented no-till or minimal tilling on much of their land. They also have their own feed mill and raise a variety of silage crops during the summer months. They retain ownership of some of their stockers sending them on to feedlots, while others are sold at local markets. They have varied their operation in many ways and continue to evaluate those approaches as needed. Learn more about Stangl's story and what makes her a Significant Woman in Agriculture by clicking here to read her complete profile from ODAFF. Growth Energy submitted comments to the Environmental Protection Agency on the last day of the comment period on the agency's proposed 2019 renewable volume obligation (RVO) targets. Growth Energy is asking the EPA to make the proposed numbers real by accounting for lost gallons which were caused by small refinery exemptions and reallocating those gallons to other refineries to fulfill the target RVO. The organization is once again asking the EPA for Reid Vapor Pressure (RVP) relief for rural America to allow the sale of higher-octane blends like E15 year-round. That would help boost domestic market demand for ethanol and help lower fuel prices for consumers. Growth Energy CEO Emily Skor says the targets appear to be a strong proposal with a 15 billion gallon commitment to starch ethanol and a significant increase in cellulosic biofuels. "However, the proposed RVO has failed to account for the 2.25 billion gallons lost due to small refinery exemptions," Skor says. "By failing to account for these exemptions, EPA has made the numbers hollow by turning the clock back on the Renewable Fuels Standard by five years." The National Association of Corn Growers weighed in too, adding their own remarks on the subject stressing the importance of a strong RFS for farmers facing their fifth consecutive year of depressed income and commodity prices. To uphold the full clean air, cost-savings, energy independence, and rural economic benefits consumers and farmers receive from the RFS, EPA must also use the 2019 volume rule to make and keep the RFS whole," NCGA President and North Dakota Farmer Kevin Skunes said. Click here to read NCGA's comments in full.